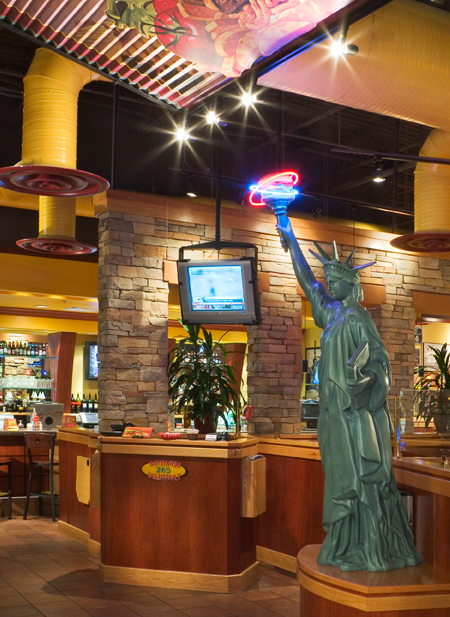 The challenge was to deliver a restaurant lighting system that is flexible enough to change with the needs of the property, that is completely reliable, and that supports the identity of a national brand. 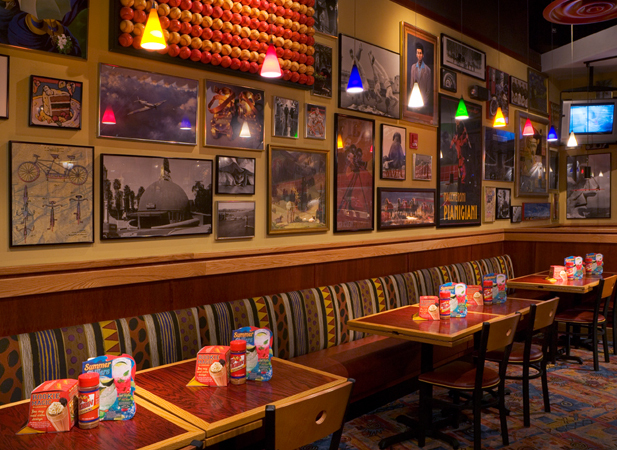 Lehigh Valley Restaurant Group, a $47.1 million franchisee of the Red Robin restaurant chain, opened its first property in Allentown, Pennsylvania, in 1993. Since then, the company has seen significant growth, expanding to 15 properties with two more on the way. 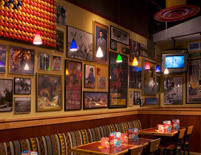 Serving the Eastern portion of Pennsylvania, the Lehigh Valley Restaurant Group is committed to delivering the unique customer experience that has made the Red Robin brand such a success. And delivering that experience starts before the restaurant is even built. It starts with the design: the location, the floor plan, the lighting. 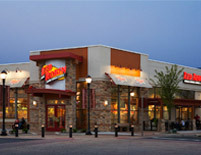 Lehigh Valley Restaurant Group opened its Saucon Valley, Pennsylvania location in October of 2006. The property was situated in an ideal location: an outdoor recreation center surrounded by corporate office parks and residential neighborhoods. The company’s Director of Design and Construction, John Williams, understood the importance of delivering a flawless project. Discussions with the design team led to the selection of LCP128, an integrated light control solution that unites all lighting circuits — switched and dimmed, interior and exterior—into one simple system. The LCP128 system is designed with restaurants and retail establishments in mind, providing numerous control options for unprecedented flexibility. Individual lighting patterns can be controlled with an astronomical time clock, occupancy sensors, daylight sensors, or manual wall stations to meet the specific needs of each property. LCP128 is also simple to use, allowing users to override the scheduled lighting operation easily with an integrated menu-based LCD programmer or remote mounted wall stations. Plus, the panels come pre-wired to reduce installation time and material cost. Each integrated panel contains circuit breakers that help eliminate redundant hardware, so contractors have fewer components to install. 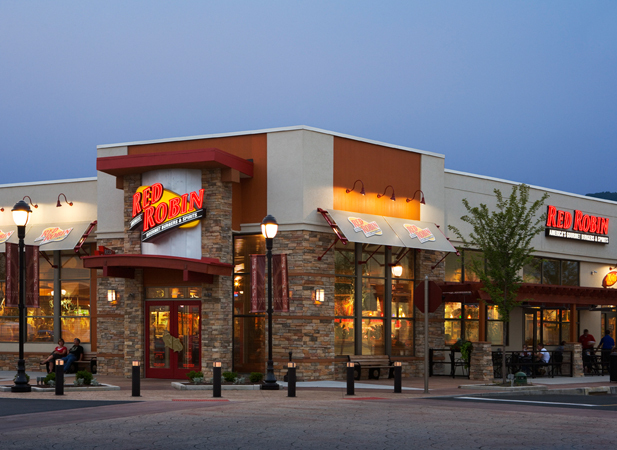 LCP128 reduced construction costs at this Red Robin by allowing light control to be located in one system instead of three separate panels, which had been required at other properties. In the early morning, lights are on in the kitchen but not in the dining room, allowing back-of-house staff to begin prep work for the day without wasting energy by running the lights elsewhere. As the day moves on, the lighting dims based upon the needs of the restaurant. There is a day scene for the dining room, and an evening scene that includes exterior lighting. Each scene transitions seamlessly into the next. At the end of the day, the system does a sweep of the facility, turning off all unnecessary lights and leaving on a nightlight, making the system as efficient as possible. “The best thing we can say about it is that we don’t notice it at all. 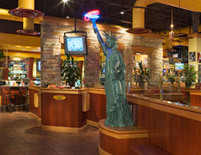 It’s back there, and it’s working, and the restaurant looks great,” said Williams. Tucked away in the back of the restaurant, an easily overlooked benefit of LCP128 is how little wall space it takes up. “Having fewer panels also increases back-of-house space, which is especially important for smaller restaurants where space is at a premium,” said Flowers. LCP 128 Perfect for retail, restaurants, and more, LCP128 features automated presets and convenient control of all dimmers and switches on the job.